"When it comes to after school snacks, pre-game parties, or late night munchies, we've got your back (and your stomach). 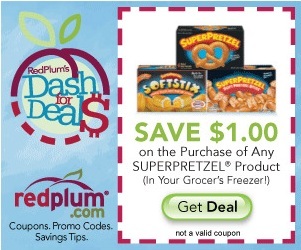 Today's Dash for Deals lets you save $1 on any SUPERPRETZEL product. So the next time those in-between meal cravings get to you, try a new twist. (Literally)."